We work with local farmers to select corn, malted barley, rye and wheat, which are then ground according to our recipe, also known as a “mashbill”. These ingredients will eventually become the smooth, robust Bourbon you know so well. The milled grains are cooked in Kentucky limestone water, in a specified order and at specific temperatures, to create a sweet, porridge-like "mash". A portion of the prior day's distillate is then added to both the mash cooker and the fermenter. This helps maintain continuity of flavor, eventually leading to notes of vanilla bean, sweet fruit, and fresh mint. Our Master Distiller's 7th generation family yeast strain, which we’ve been using since 1935, is added to the cooked mash in a large vat, where the sugars naturally convert into alcohol. Over several days, the fermenting mash bubbles violently, creating "Distiller's Beer," a thick liquid. In the 70 ft. tall column stills, the Distiller’s Beer drips slowly down a series of perforated copper plates while steam blasts up from the bottom. The alcohol vapors rise to the tops, where they’re captured, condensed, and then re-distilled in the thumper. The result is the purified, concentrated "new make". Next up is the waiting game. The barrels are transferred to a new charred oak barrel and sealed with a “bung.” We source all of our barrels from a family owned cooperage we’ve worked with for generations. They’re #3 char, which means they’re fired for about 40 seconds. The newly filled barrels are then placed in rickhouses to naturally age. It’s during the aging process, experiencing the hot summers and cold winters of Kentucky, that the whiskey acquires its burnished copper color, and signature warm spice and subtle smoke flavor. 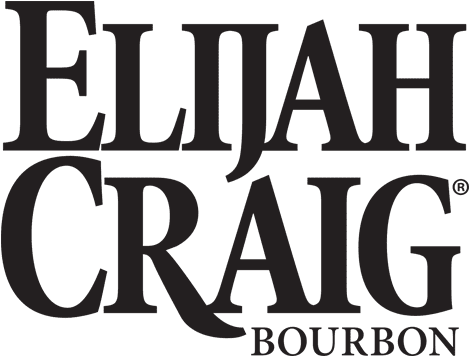 Over time, 200 barrels or less are selected to become Elijah Craig Small Batch. The barrels are aged for 8 to 12 years in our Kentucky rickhouses and then expertly combined to create our signature balanced and smooth taste profile. Each batch is created under the attention of our Master Distiller, who ensures quality and consistency. That’s why each and every sip carries a signature warm spice and subtle smoke flavor.